Can a post on social media be used to stop you from purchasing a gun? If New York state Senator Kevin Palmer and Eric Adams, the president of Brooklyn Borough had their way, it would. What ever happened to Due Process?? The LEFT is OUT of CONTROL? 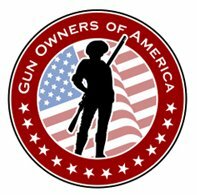 This entry was posted in 2nd Amendment, Anti-Gun, Gun Control, In the News, Right to carry, State laws and tagged 2A, 2nd Amendment, acts of violence, Anti-Gun, ATF, bill of rights, Castle Doctrine, CCW, concealed carry, Concealed carry in the United States, Crime, Crime and Justice, Crime Statistics, Firearm, Gun, Gun Control, gun free zones, Gun law, Gun politics, gun rights, Gun violence, guns, Handgun, home defense, Home invasion, Law, National Rifle Association, NRA, pro gun, Pro-Gun Rights, Right to carry, Right to keep and bear arms, School shooting, school shootings, Second Amendment to the United States Constitution, Violent crime. Bookmark the permalink.